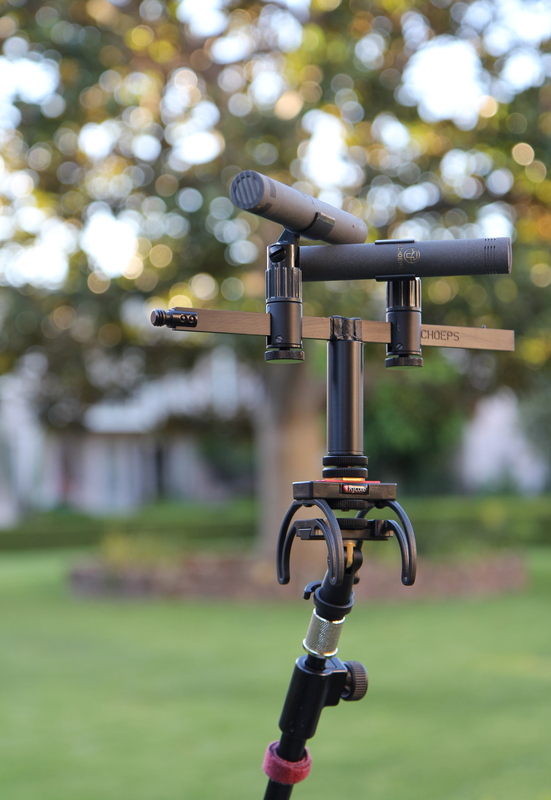 Location sound can present a variety of challenging obstacles to capturing hi-fidelity sound. The infrasound that a fast moving train creates can become a problem for directional mics positioned nearby. Using the techniques described in my previous microphone isolation post allowed me to maximize the available headroom in my recording. Below, listen to a stereo recording I made of the Washington D.C. Metro train. You will hear the subway train arriving from a far left tunnel, after it stops the doors open in the center, then the train rumbles as it fades away into the far right tunnel. The distinct panning or movement of sound in this stereo recording was captured using the ORTF stereo mic technique. Try a pair of headphones or stereo speakers for a fully immersed experience. Higher quality versions of this recording are available, as well as custom sound designs/effects. Stay tuned to HiFiQC for previews of quality sound design/SFX. Recording music and sound effects with carefully placed stereo microphones can present some challenges. Since directional microphones are more sensitive to infrasonic noise, special attention should be taken when placing them in various environments. Wind, machines, automobile traffic, and footsteps can all cause rumble or noise to build-up and eventually reach your microphones. The low-frequency nature of these sounds can take up precious headroom in your audio recordings. While wind (blowing on the capsules) can be tamed with various foam enclosures (the W5D is my favorite for Schoeps) don’t forget to isolate mechanical vibrations from reaching your mics too. After trying elastic shockmounts alone, I devised 3-part system to better isolate my ORTF stereo array (also works for MS, XY, and Blumlein) from infrasonic disturbances . To start, Rycote has a non-elastic suspension made of a super-strong thermoplastic called Hytrel. And unlike elastic, it won’t sag and eventually wear-out (so far, so good). After being impressed with a Rycote Invision suspension for a single Schoeps mic, I decided to see if a solution existed for isolating 2 Schoeps mics arranged on the UMS 20 stereo bar. After some digging, I came across the Rycote portable recorder suspension and wondered if it might work since the weight of the stereo bar and mics was nearly identical to most portable recorders. As you can see from the picture above, this model easily supports and isolates the Schoeps universal stereo bracket with mics attached. Using a microphone suspension is certainly one method to help prevent vibrations from reaching your mics, but what about infrasonic born vibration from foot traffic, cars nearby, or HVAC compressors. These disturbances can travel up your mic stand and into your microphone. After experiencing issues from foot steps and traffic rumble, I worked on a solution to isolate the microphone tripod from the ground itself. Both Carbon Fiber and Sorbothane are materials known to dissipate mechanical energy. 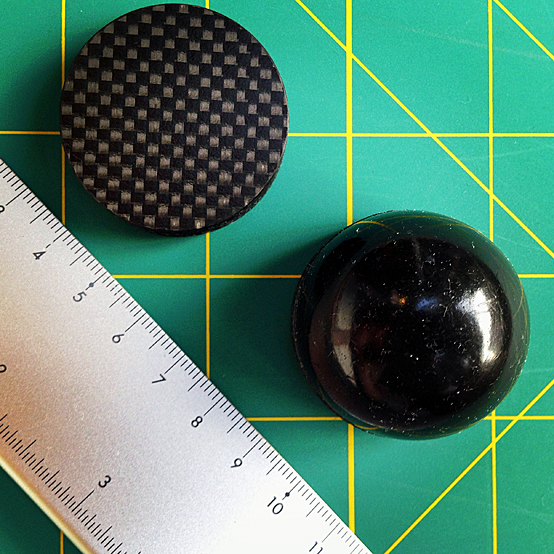 So, I settled on Sorbothane hemispheres attached to an equal diameter carbon fiber disc. Sorbothane works best when compressed under a range of weight (depending on size and Duro rating of hemisphere). 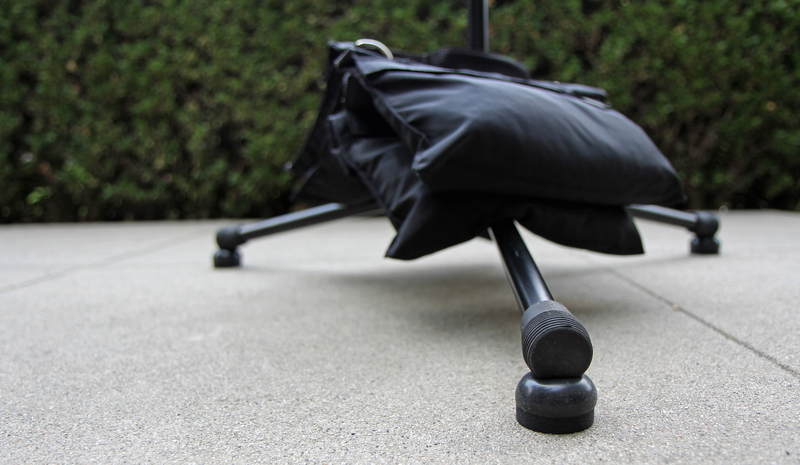 By choosing a durometer rating of 50 in the 1.5″x.75″ Sorbothane hemisphere, 7-14 pounds of weight on each tripod leg could be isolated. And after adding some 8 lbs sand bags to my tripod, I was able to get the load heavy enough to make the Sorbothane hemishpere’s truly effective. Lastly, but equally important is making sure your microphone cables do not transmit cable-borne noise to the microphone body. 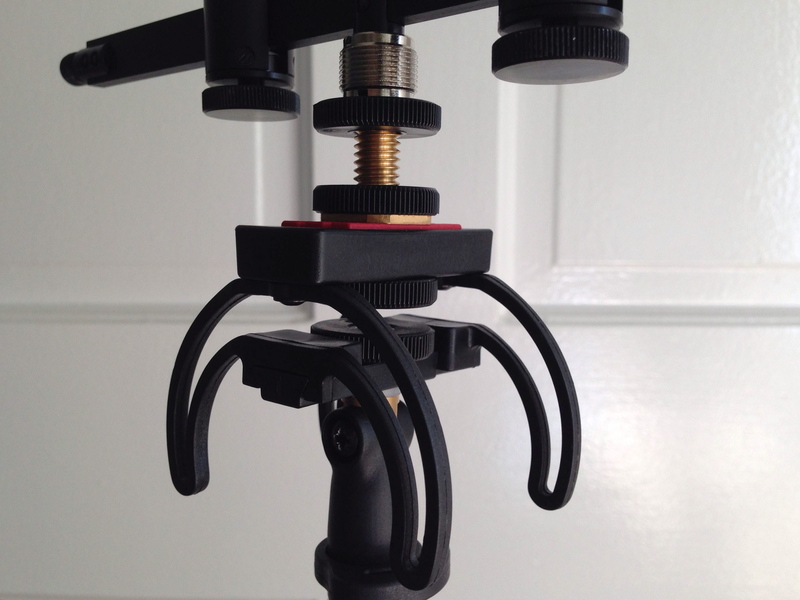 Carefully dressing your mic cables around the tripod is essential to preventing vibrations from reaching your mic. With the help of velcro cable wraps, you can neatly run your mic cables, but don’t forget to pay attention to where and how they are laid on the ground. In some cases you may need to isolate the cable on the ground too. For those looking for an even smaller stereo mic setup with windjammer possibilities…Check out this ORTF setup with Schoeps CCM mics, Rycote Lyre suspension, and even a Rycote connobox to eliminate cable handling noise! 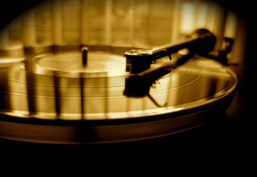 10 Audiophile Gifts That Will Bring Music To Their Ears! Head over to Apartment Therapy for a round-up of audiophile gift ideas.